Birds wooden houses are getting more trendy with every passing day. A bird cage seems to be a bit conflicting to the humanitarian grounds as it sounds like showing no compassion for birds. But a bird house sounds much greater. 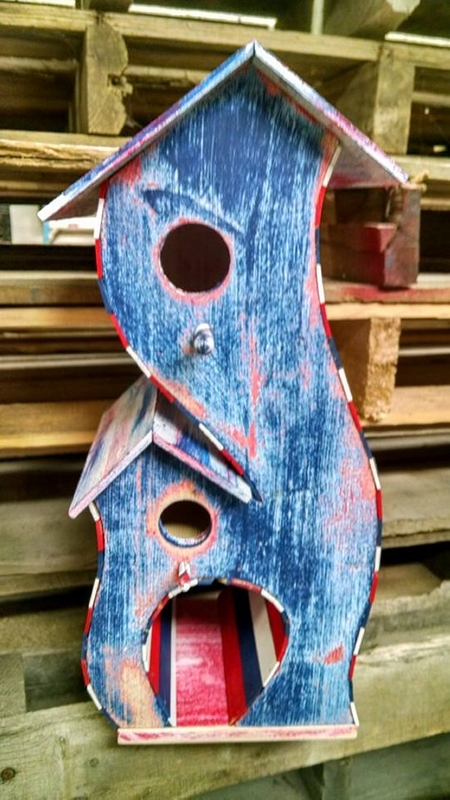 These bird houses are made with numerous materials but here we would be making it with the same wooden pallet. A bird house prevents the bird from severe weather conditions and from rains. As they are most vulnerable to the climatic conditions. So if you are having a proper house for your pet birds, they are considered to be much safe than before. Pallets are a sort of blessing for all the art lovers. They give you the whole freedom to cut mold and shape them according to your choice. This quality of pallets is universally acclaimed and with every passing day more and more people are getting inclined towards the pallet recycling. 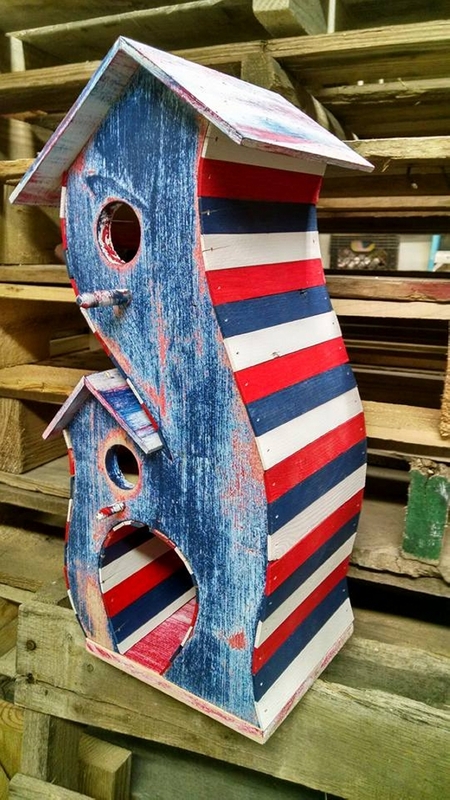 Here in this article we are specifically talking about a pallet wood bird house which really would be a great creation. This would be a full time support for your pet birds like pigeons, parrots and other pet birds which ever you like. Now turning towards the basic topic of the day, let’s ponder upon the basic structure of the pallet wood bird house. 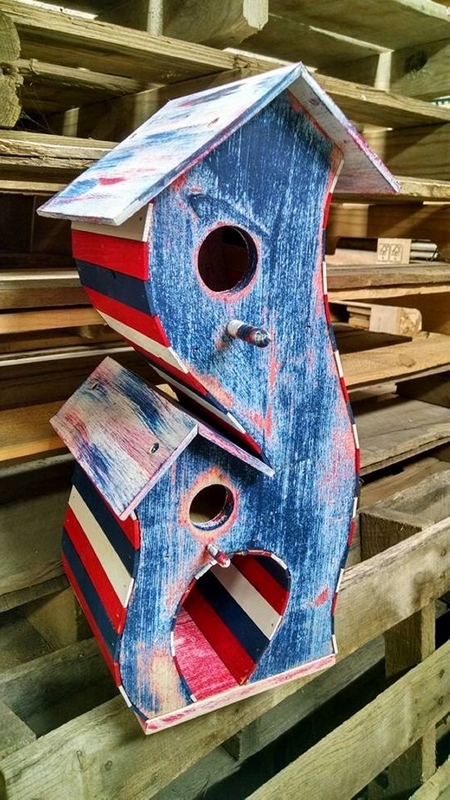 Pallet planks are obviously too big to make this tiny bird house so they were first cut to size according to the desired measurements. And then they are installed and fixed in this bird house following a certain pattern. There is a big hole right in the front which provides the bird with ample air inside the bird house. Lastly it is stained with multiple colors to make it look more attractive and fascinating. Put it inside your house or hang outdoor with a tree branch.